Growing up in a typical Chinese family, I strongly believe the benefits of consuming ginseng hence we will always buy ginseng whenever I travel to South Korea. In traditional Chinese medicine, Korean Ginseng is used to promote yang energy, increase the blood supply and improve blood circulation; it is a tonic for the whole body system in times of weakness, fatigue and stress. In fact, it is great ingredient for skincare too for its anti-oxidant qualities. I have recently tried out THE FACE SHOP Yehwadam Heaven Grade Ginseng Regenerating Range. 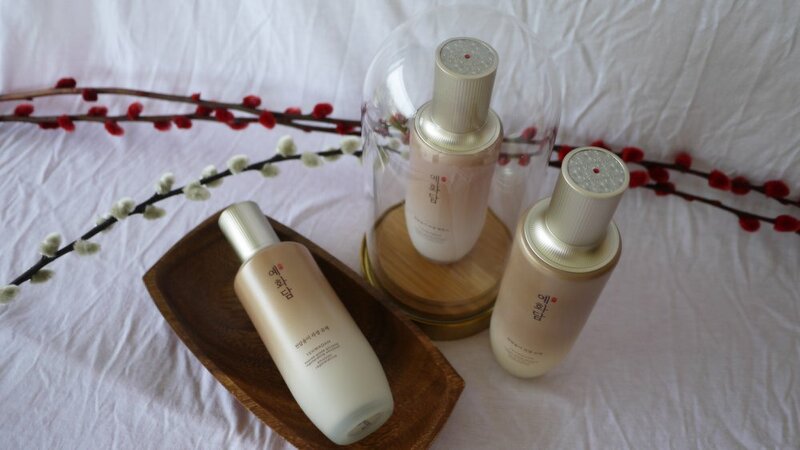 Inspired by the stories of beautiful Korean women and their secrets of beauty regimen that passed through generations, the anti-ageing line is formulated with Korean traditional herbs, plants and flowers extracts found in Korea’s cleanest and pristines areas such as Ginseng from Gyeongbuk Province, Safflower from Sancheong Jirisan mountain and Goji Berry from Chungnam Province. It is suitable for Dry Skin, Mature Skin and Normal Skin. Just like other range from THE FACE SHOP Yehwadam series, Yehwadam Regenerating Range has an opulent packaging that is beautiful and luxurious. Packaged in a paper box, the pump bottles are solid with a beautifully gemstone crafted lid. Even better, the range comes with a very mild herbal scent that is pleasant, fresh and revitalizing. It is so comfortable to use every day and night. 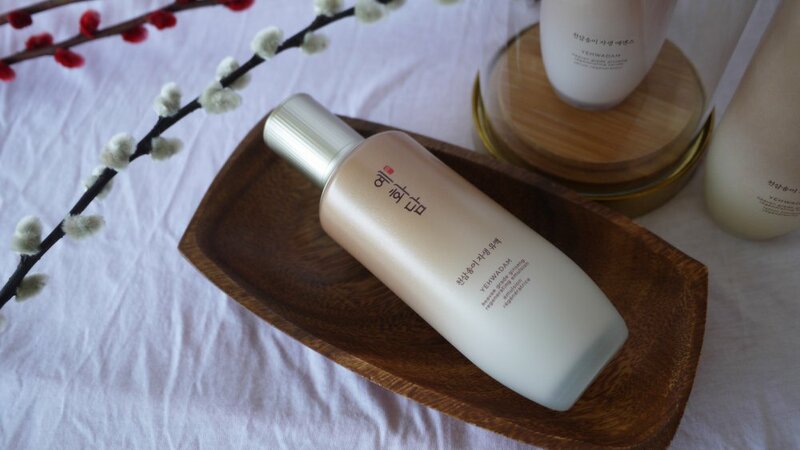 Yehwadam revitalizing toner is formulated with the energy of Korean natural ingredients to refresh, moisturize and smooth your skin. The texture is light and absorbs really well. It doesn’t feel sticky at all when I pat it on my skin. To use, just apply to clean, dry skin. Dispense an adequate amount and gently pat into skin with the palms of your hands to aid absorption. This revitalizing serum is formulated with extracts of seeds, roots, flowers and fruits from Korean natural ingredients to provide the finishing touch for a healthy, vibrant look. Yehwadam Revitalizing Serum firmly adheres to skin and provides healthy and vibrant skin finish. A little goes a long way, I normally use 2 to 3 pumps each time and the effect is immediate. My skin feels soft, hydrated and lifted constantly. To use, dispense an adequate amount and gently apply on the face in an outward direction after applying toner. 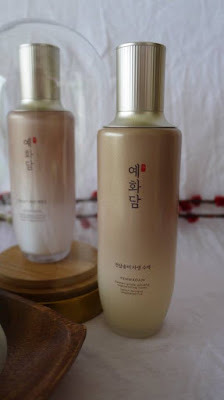 This revitalizing essential emulsion is formulated with the energy of Korean natural ingredients. The smooth, lightweight formula moisturizes and refreshes skin. 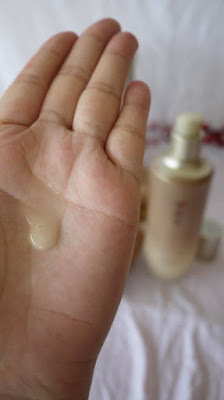 My skin feels soft and well moisturized after applying the emulsion. It also gives my skin a subtle glow which I like. To use, smooth over face and neck using gentle pressing motions to aid absorption after serum. 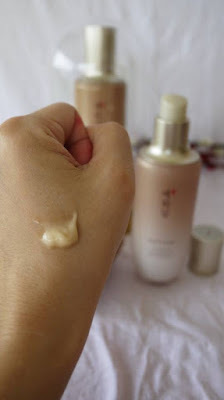 I got hooked on THE FACE SHOP Yehwadam Heaven Grade Ginseng Regenerating Range which I now apply religiously, day and night, to achieve a firm, radiant and healthy complexion. It is effective, comfortable and most importantly natural with no side effects whatsoever. I have not tried Korean ginseng in skincare. I am afraid of its heaty properties but it looks like it doesn't happen in skincare products. High time I give it a shot! looks very premium indeed, something mature skin would need! I'm never tried any product related to ginseng before. But I love the packaging looks simple & nice. I'm currently using this range too. I love it!